DPSST Armed Security Course is a 24 hour class, which is broken into three 8 hour days. The first two days of the class are lecture based. 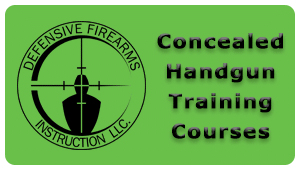 Topics include: firearm safety, ammunition, officer responsibilities, legal definitions, proper decision making, use of force, post shooting procedures, and decision making scenarios. We also go over the 5 main types of handguns and how they operate as well as how to properly clean and maintain your handgun. We also talk about holsters, magazine pouches and additional gear that is useful to have as an Armed Security Professional. At the end of the second day students will take a 30 question closed book test. The third day starts on the range covering the cardinal safety rules and mindset. 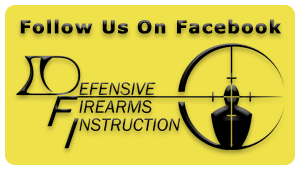 The hands on component starts with the fundamentals of marksmanship, drawing, reloading, and clearing weapons malfunctions. Prior to the live fire portion of the range students will take the DPSST Armed Security Course Weapon Handling Assessment. Upon safely completing the handling assessment students will be able to move onto the live fire portion of the course. The live fire component covers shooting from numerous positions, all of which are part of the qualification course. Students then take the DPSST Armed Security Course State Shooting qualification test (PQC-1). The DPSST Unarmed Security Course needs to be completed prior to submitting the DPSST Armed Security Application. Upon completion of this course students will be given a PS-1 application form, which we will notarize for you. If the student is upgrading from the Unarmed to the Armed rating we will provide a PS-23 upgrade form. The DPSST Armed Security Course also meets the state requirement for a firearms safety course to obtain an Oregon Concealed Handgun License. We will also provide the PS-6 training form, which can be used to obtain an Oregon CHL. 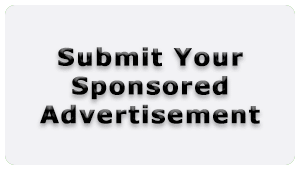 If students are interested we will also cover the additional information that would be required to obtain a Utah CFP upgrade for an additional fee, which would give reciprocity in additional states. Firearm rental (which includes ammo) is available with advanced notice for an additional $60.00.